Expat workers in Bahrain comprise 55% of the national population, making it the capital of the world's most skilled and experienced workers. Latest studies show Bahrain as one of the highest paying labour capitals in the Middle East with at least 22% of workers earning between $ 5,000 US (Bd 1,890) and $ 10,000 (BD3,780) monthly. The Middle East, in general, has been found to be resilient against the economic crunch with its average salary rising by over 15% since 2007. 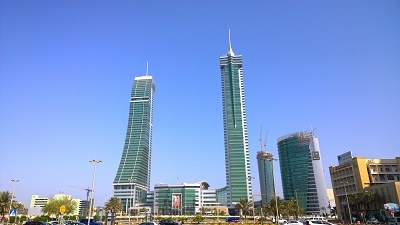 These reports are very encouraging to the Bahrain expat community and to those who are keen to work and live in Bahrain. At present, the average salary earned in Bahrain is 1, 382 BHD with the currency used being the Bahraini Dinar. To top it off, expats pay no income or sales tax. Teaching English as a second language can also be a rewarding career with a good number of English language schools operating in the country, especially in Manama and Riffa. Requirements usually include Teaching English as a Foreign Language (TEFL) certification plus two years of teaching experience. A typical work week in the country is 40 to 48 hours with differences depending on individual company policies. A day's work usually begins between 8:30 and 9:30 am and ends between 5:30 and 6:00 pm regardless of the season. During Ramadan, however, Muslim workers render two hours less than usual. For each working week, a worker has one day off, and this usually falls on a Thursday or Saturday, Friday being a day of rest for Muslims. Bahrain is a place where you can reap even more than you've probably sown, but like other labour capital in the Gulf, there are requirements for anyone who seeks to live and work in this country. A work visa must be obtained, as well as a residency permit. Applications are submitted by employers to the Labour Market Regulatory Authority. An expat worker also needs to secure a CPR (personal identification card) which is submitted with a written affidavit from a Bahrain-based company that will serve as the expat's sponsor. The country is known around the world as a labour capital where hardworking people come to make the best of living. However, the atmosphere remains laid back and conducive for recreation with its array of highly cosmopolitan entertainment centres where workers can relax and unwind. Indeed, while expatriation can be a complicated process, being an expat in Bahrain can mean things simply falling into place on their own.